I have been taking 2000 IU's of Vitamin D3 for about 6-8 weeks. For the past couple of weeks I have been experiencing knee pain and stiffness as well as lower back pain. This seems to be at it's worse when I awake in the morning after inactivity while sleeping. Could Vitamin D3 cause this? If so, will this pain and stiffness be temporary? Yeah, back pain and/or 'bone' type pain is a common Side Effect of Vitamin D, particularly in those who are very vitamin d deficient. However, I have a couple of other thought/comments. First of all, why are you taking 2000 IU's of vitamin d? If you read my page on Vitamin D Requirements, you'll see that an adult male would likely need at least double that to meet his requirements. If you've not had a Vitamin D Test done, then I HIGHLY suggest that you get one because increased pain when taking vitamin d COULD indicate that you are fairly severely deficient. Next: If you read my page on Vitamin D and Magnesium, you'll see that taking vitamin d uses up magnesium, and your back pain COULD be one of the Signs of Magnesium Deficiency too. That's one of the reasons that I suggest that no one ever take ONE single nutrient. They all interact together and if you are deficient in one, then it's likely that you are deficient in something else that your doctor can't, won't or doesn't know how to test for. The last thing that concerns me is your knee pain. Increased joint pain isn't usual and could indicate that the oil in your vitamin d capsules is rancid. I recommend that you ditch your capsules with oil and get capsules without oil to eliminate the possibility that it's the oil in the pills causing your problems. That's why I carry No Oil Vitamin D3 Supplements for just that reason. Those are my thoughts on that issue. If your pain is from magnesium deficiency and/or rancid oil in your pills, then your pain may not go away after a period of time unless you address those issues. And if your pain is due to being extremely deficient, then the pain may not go away until you correct your deficiency- which would likely take a VERY long time if you are only taking 2000 IU's per day. 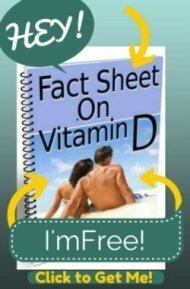 YOU WROTE NOT TO TAKE VIT D3 IN AN OIL CAPSULE. DON'T YOU HAVE TO TAKE THIS SUPPLEMENT WITH SOME FAT? Vitamin D Taken WITH fat vs Vitamin D Capsules with RANCID OIL!! Yes, you must take Vitamin D with fat for it to be absorbed properly, but many oil-containing capsules contain RANCID oil. Even if they have a 'freshness' date, there is no way of knowing how long the oil sat in warehouses before it was made into your pills. You should never eat RANCID oil and because there is no way for you to know if your pills contain rancid oil or not, I recommend that you don't take oil-containing pills unless they are made with Coconut oil or something called Medium Chain Triglycerides (MCT's) which don't go rancid. I believe that the tiny amounts of rancid oils in Vitamin D Supplements accounts for the majority of adverse Vitamin D Side Effects that people attribute to their 'vitamin d'- and if people would stop taking these supplements that there would be MUCH MUCH fewer adverse reactions to vitamin d.
I started taken 5000 IU of vitamin 3 as I was told that I was deficient. Recently I have been experiencing join pains or more like pains that are similar to flu like symptoms; went to my Dr. had some blood work done and he stated that my Calcium level was high even though I do not take additional calcium: he reordered more blood work which I have not as yet received the results; however I went into web site and found out that high level of Calcium could be an underlying medical problem such as Lung, Bone and breast cancer; the reason I went back to my doctor was due to stomach pain and lower back paid. I am not freaking out and cannot put my mind at ease as I am a 66 year female and many forms of cancer has caused family members to pass away. High calcium levels are almost always something much less sinister than cancer. Please stop worrying and go to Parathyroid.com. So I have nature valley vitamin D3 2000iu that was recommended for me to take by the rheumatologist after a visit to her because I had a concern about sore fingers in the morning. So she only looked at my fingers and said I didn't have RA. But she did run labs on thyroid and vitamin D level and called and said I was slightly deficient for vitamin D and take D3 2000iu. And it seems like I started having pain more and more and I'm trying to connect the dots. Now I did have my PCP take X-rays of my lower back and hips and it did show slight osteoarthritis and osteopenia on right hip and lower back but this pain and stiffness extends far beyond that and I'm stumped as what else to do. I do have a functional medicine Dr. Who has me taking buffered vitamin C powder but I just Incorporated that a few days ago. I just don't know what to take and want to stop everything. It is my understanding that if you take high doses of vitamin D without also taking Vitamin K2, calcium levels may be increased. This is very important - K2 tells the calcium 'where to go" -meaning not into the arteries (causing atherosclerosis), or soft tissues, but to stay in/remineralize the bones (avoiding osteoporosis). It doesn't necessarily indicate a parathyroid issue. If you want to know about the freshness of your vitamin D capsules as a possible reason for side effects, there is a simple way to find out. Just take one of the pills and cut it open to see if the oil smells bad or tastes bad. 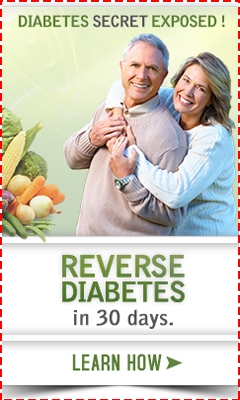 You can also use this method on fish oil supplements too.